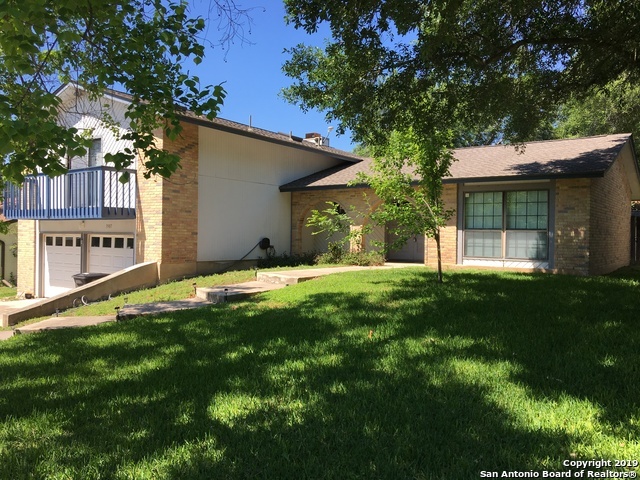 All EDEN homes currently listed for sale in San Antonio as of 04/22/2019 are shown below. You can change the search criteria at any time by pressing the 'Change Search' button below. "Beautifully renovated tri-level home on cul-de-sac st. Bamboo flooring throughout/slate like ceramic tile in wet areas/porcelain tub surround in bathrooms/ linen closets in bathrooms & laundry/granite counter tops in bathrooms & kitchen/new cabinetry & hardware in bathrooms & kitchen/ceiling fans in every room/recess lighting in kitchen/no popcorn ceilings/new ac 10 yr warr/ roof approx 1 yr old/bump out with storage in garage/radiant barrier & 18 in insulation/stainless steel appliances/shed w"
"This lovely home in the popular Eden neighborhood is in move-in ready condition.The home is situated on a .36 acre lot and backs to a greenbelt for additional privacy. Beautiful hardwood floors throughout the entire main level. All appliances convey. Stone fireplace in the family room. Recently renovated master bathroom. Do not miss the 3 car garage. Wonderful covered patio faces the park like backyard. Just a great home awaiting its new family." "This is a beautiful inviting home with lots of updates. Kitchen was recently remodeled with new cabinets, appliances, granite countertops & Bluetooth speakers in kitchen. Bead board accents in the dining & kitchen area. Exterior was painted 6 months ago. LVP floors throughout common areas & New carpet in master bedroom. 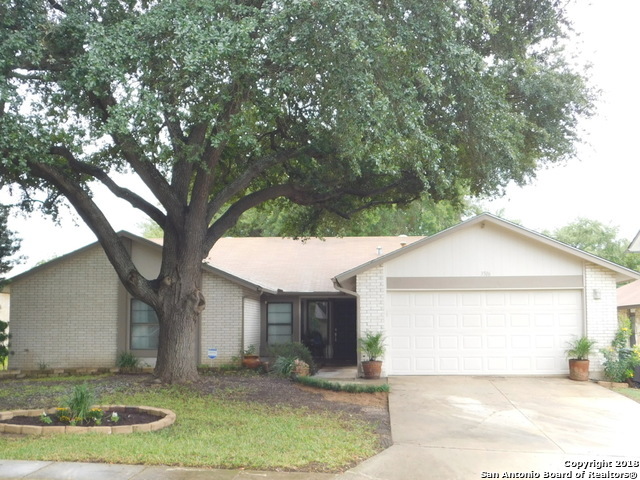 Mature trees & covered patio great for entertaining.New Roof Nov2018." 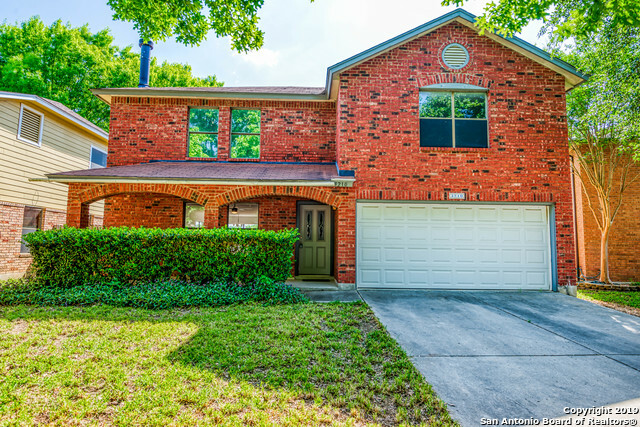 "Wonderful Home located in Eden Subdivision, walking distance to the Elementary School, perfect location with convenient access to 281, freshly painted, master bedroom with large walk-in closet covered patio and mature trees, perfect first home for a young family, come take a look!" "Motivated Seller! Can you say New Home in established neighborhood! New Roof/New Ductwork/All New energy efficient windows/Brand new, energy efficient, stainless steel kitchen appliances/Energy saving LED daylight bulbs/New flooring throughout the home (ceramic tile and carpet), New blinds throughout the house and warranty. Come see this beautiful turn key ready home. Open House scheduled 3/23 - 3/24 https://www.youtube.com/watch?v=GShLBsjmXeg&spfreload=10"
"*AS-IS* Home needs your perfect touch. Their loss is your gain. Tons of potential. 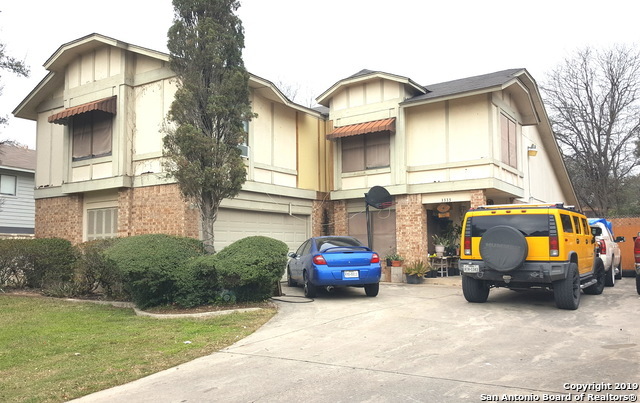 Dont miss out on this perfectly located, perfectly priced property. Home is boasting in space. Master bedroom on main level with sitting area and wood burning fireplace. Cathedral ceilings, walk in pantry with laundry room, pool, conveniently located near McAllister Park, and minutes from major highways/parkway. Schedule your tour today!!"